My word, Jeanne—what a sensational cookie! 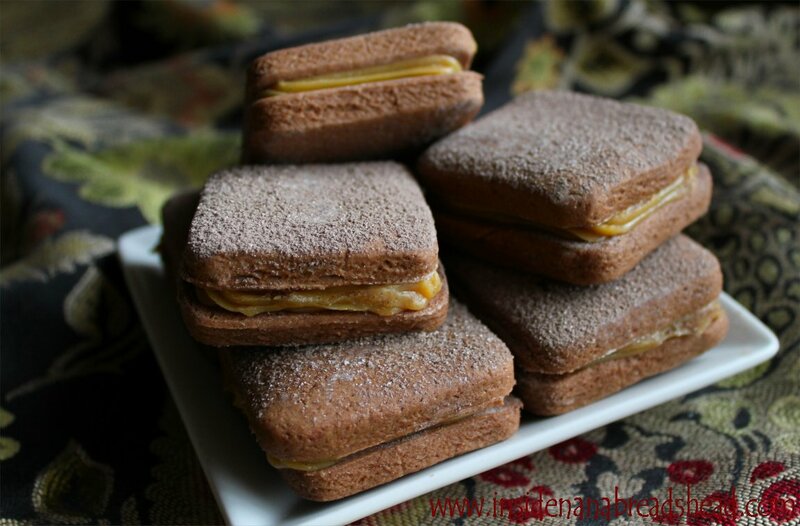 Moreover, I’m thrilled to learn about the alfajor dough and its history. Your chocolate version all dusted up in cocoa and powdered sugar must be one blissful bite after another. Brava my friend! Thanks, Brooks! This was my first attempt at alfajores. I’d never heard of them until I saw a photo on Pinterest that captured my attention. I’m a sucker for shortbread cookies, so finding them piped full of dulce de leche caramel was almost more than I could stand. And yes…. they are delicious! I want all the cookies. Gimmmee, you can’t stop me! I’m totally loving the fact that not only did we make similar cookies, but we introduced the post with the same historical information. Sisters from Another Mister, Baby! Chocolate and caramel! One of my favorite combinations! Right? It’s up there with all the great food pairings – peanut butter & jelly, cake & ice cream, grilled cheese & tomato soup… I could go on and on. Can I get a round of high-fives, please? Dang woman! These cookies are so stinking perfect. Gorgeous. I’ll take 57 please. K. thanks. Oh, Lauren… do you have any idea how long it would take to make 57 of these at 2 cookies/per? 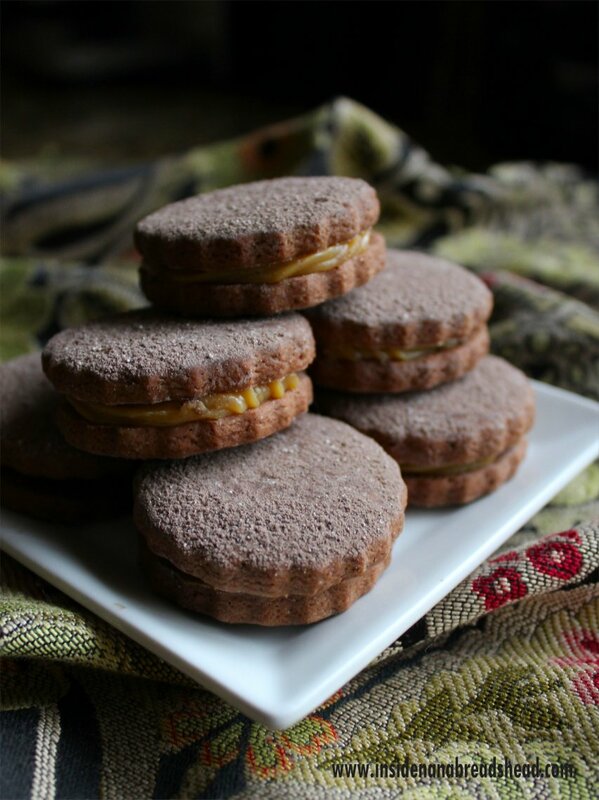 I’ll make you a deal – 57 of alfajores for a dozen of your Dulce de Leche milkshakes made in person. Deal? 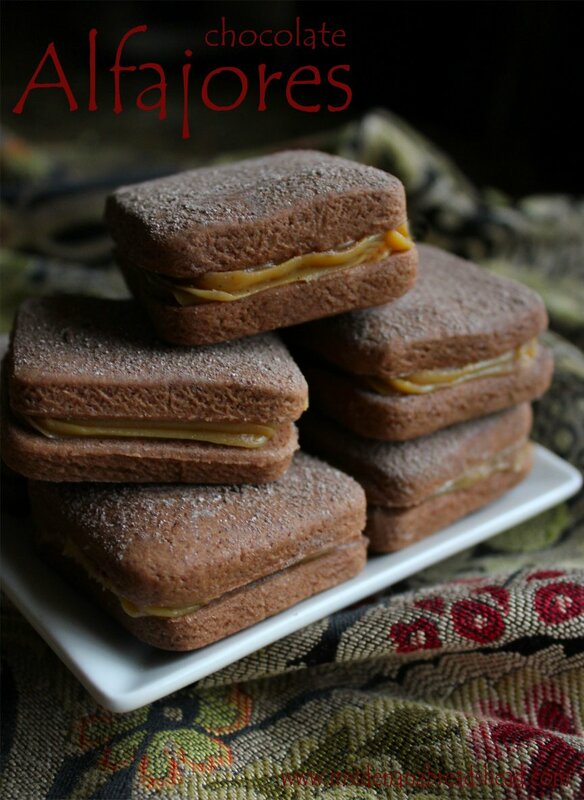 It’s probably sort of embarrassing for me to admit the amount of fun I have had saying “Alfajores” in the past week. I think it may be one of My New Favorite Words. The idea of making these is mildly terrifying to me, but the prospect of eating them by far outweighs this. 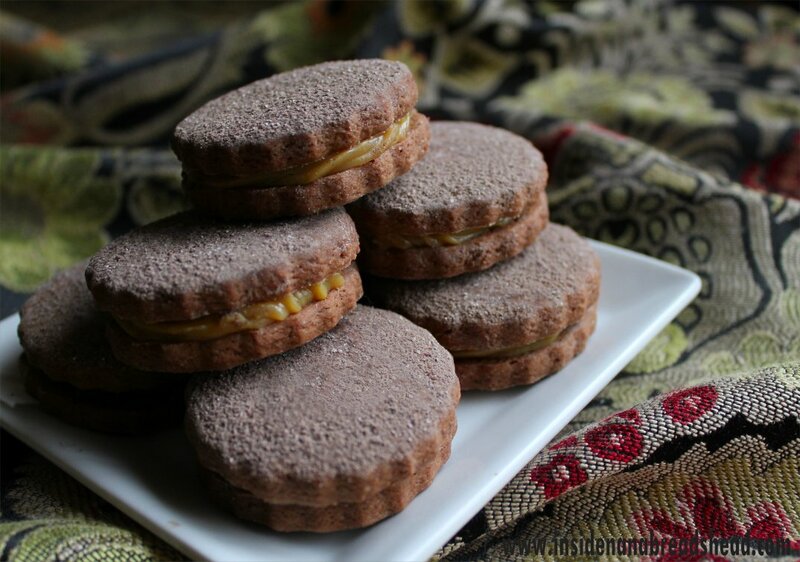 I’ve always been intrigued by alfajores but never tried making them. Now you’ve added chocolate and caramel into the mix and you’ve made them irresistible! Yum! HOLY MOLY!!!! ON THE LIST TO MAKE!!!!! My mama would LOVE these! Thank you, Anne! I think the next time I make them, I’ll cut back on the cornstarch. It’s a traditional ingredient, but I think in this case less is better. Also, I think I’d roll them out a little thinner. The cookies were on the soft side, but I think I’d prefer them a little crispier. I do love the chocolate & caramel combo. So good! Caramel is my absolute weakness and these look amazing! Thanks, Zara! I have a weakness for caramel, too. Hope you enjoy them!